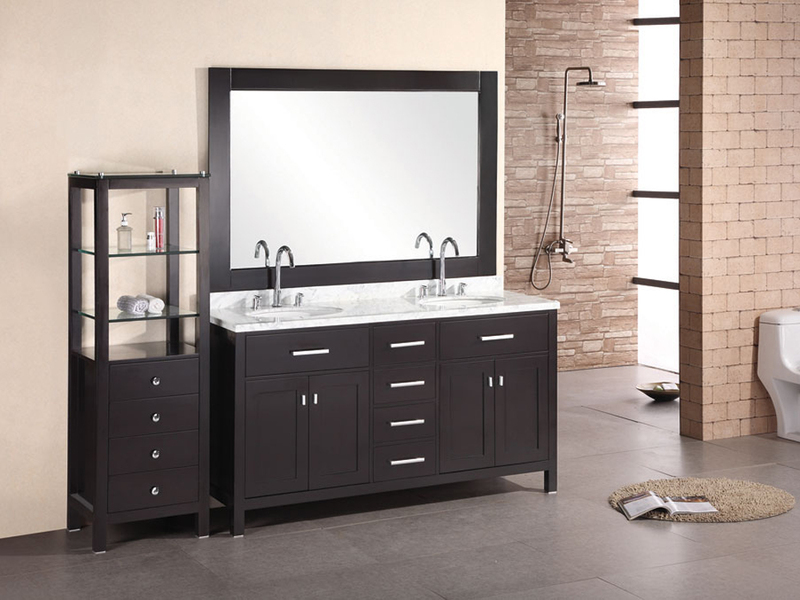 With its clean lines, espresso finish and nickel finish hardware, the London Bathroom Vanity has a fantastic modern design. The spacious marble counter top is both practical and beautiful, providing a refreshing contrast from the dark cabinet. 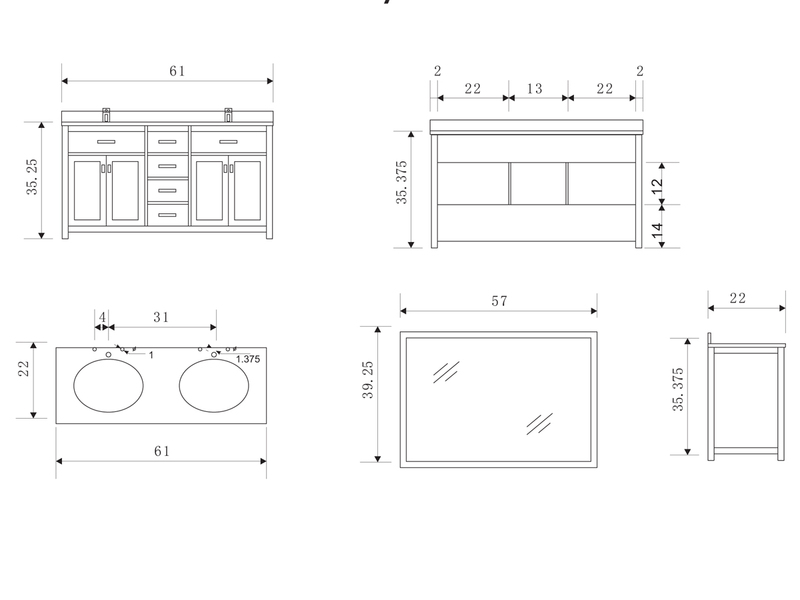 The center of the vanity is occupied by four functional drawers, which are flanked by two double door cabinets. 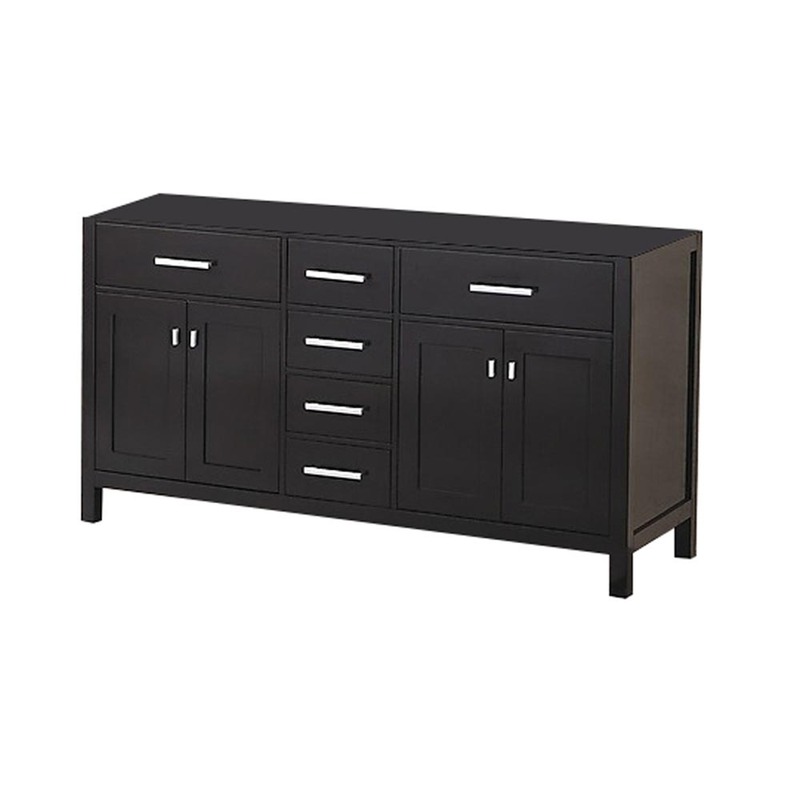 With so many storage options, this vanity has a variety of options for organizing and storing your bathroom accessories. Each sink includes a chrome faucet and matching pop-up drain. 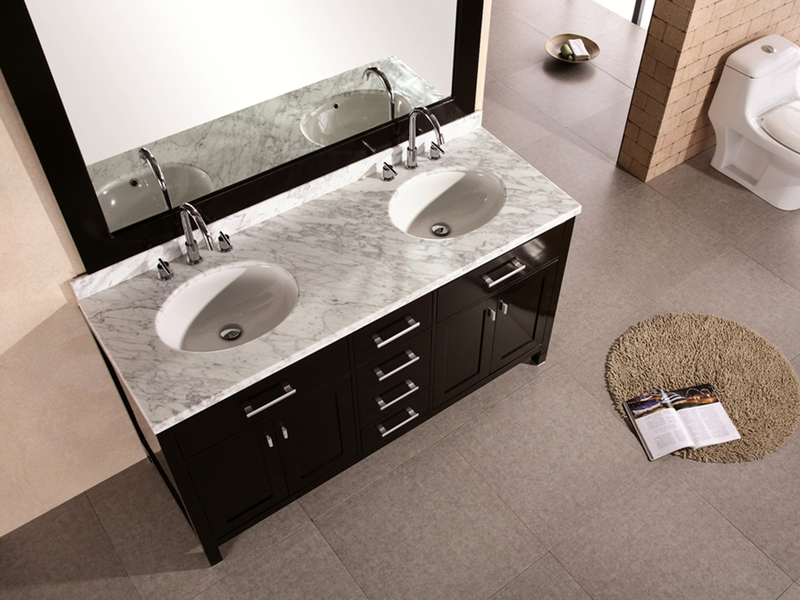 To complete your modern bathroom look, this vanity included a matching frame mirror.